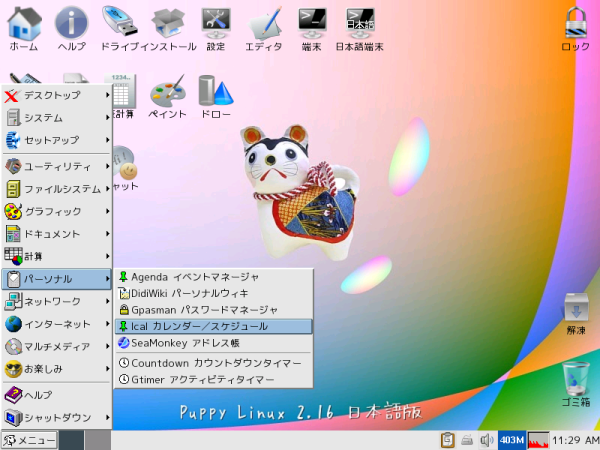 I have no objection to translation of Puppy Linux to Japanese. If you have trouble downloading from ibiblio.org (ibiblio can be very slow), or need a special version of Puppy, try the following. Note that some download sites are provided out of the generosity of private individuals, something that I greatly appreciate. Note also that some sites may not have the latest version, also only a few of the ibiblio.org mirrors host Quirky and Wary. (a mirror of ibiblio). This site is hosted by the generosity of The Netherlands Unix User Group. (a mirror of ibiblio). This server is located in Australia. (a mirror of ibiblio). This server is located at the Vienna University of Technology, in Austria. (a mirror of ibiblio). 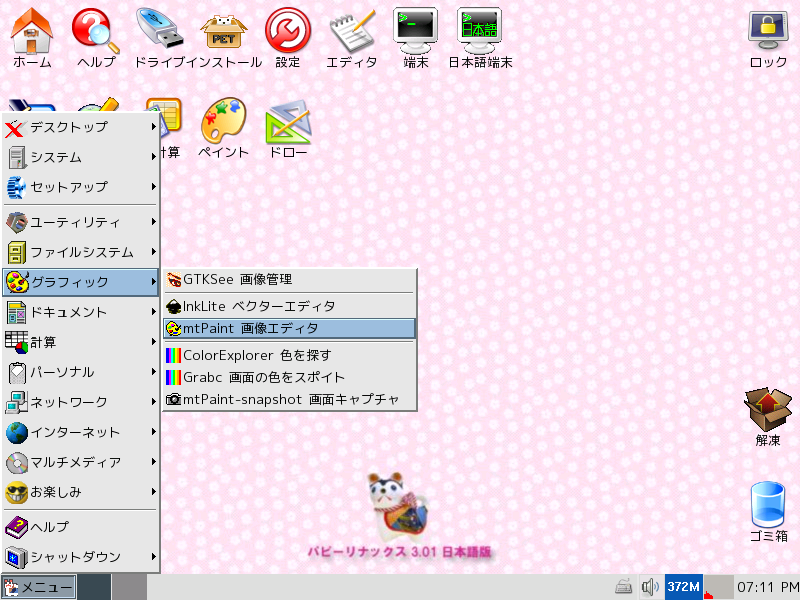 This server is located in Thailand. (a mirror of ibiblio). This server is located in Poland. (a mirror of ibiblio). Hosted by the Computer Center, University of Crete, Greece.